Now we’re in December, everyone is starting to get in on the Christmas decoration action. 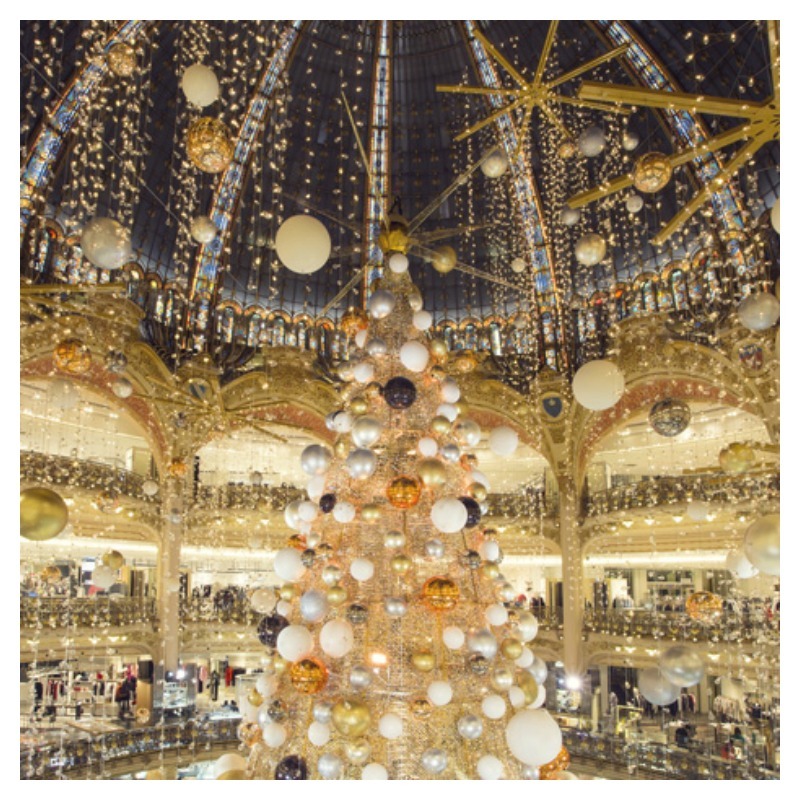 From luxury hotels to department stores, the desire to put up the most imaginative festive displays continues to grow year after year. Read on for three Christmas displays to inspire you. 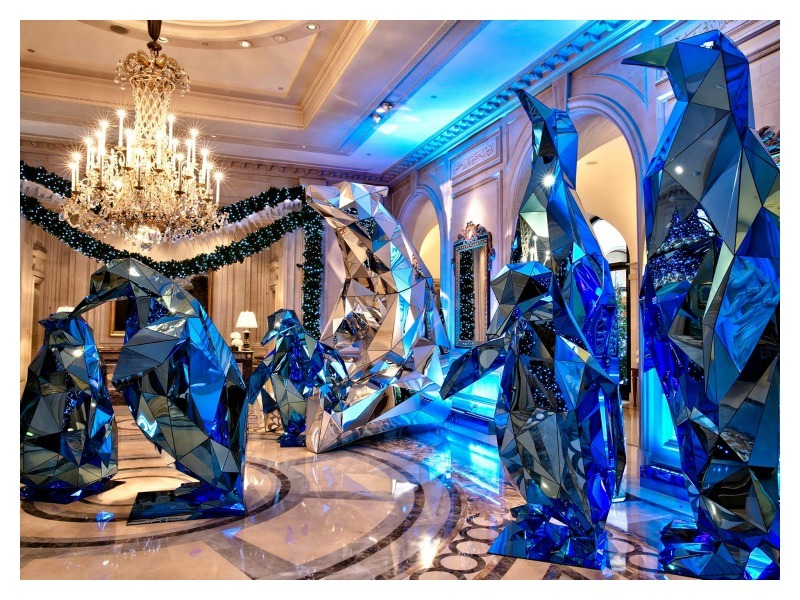 Jeff Leatham, artistic director at the hotel has gone all polar with this year’s arctic-themed display in the hotel lobby. Known for his floral installations, his Christmas displays at the hotel definitely do not go unnoticed. We really like his ingenuity. You can’t go wrong with lots of sparkle at Christmas. 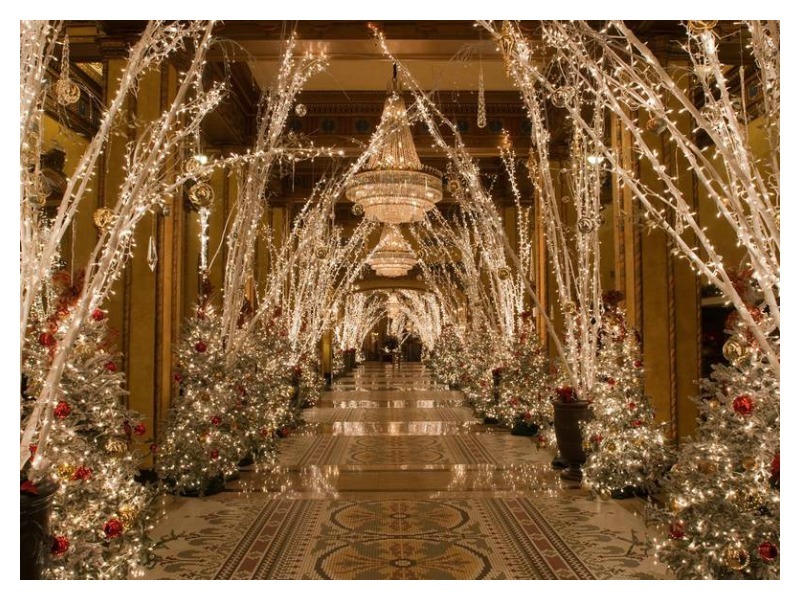 This Waldorf Astoria hotel gives guests an unmistakably festive winter wonderland welcome with this festival of lights in the hallway. As they imply, enjoy Christmas from another planet with this extravagant cosmic display. 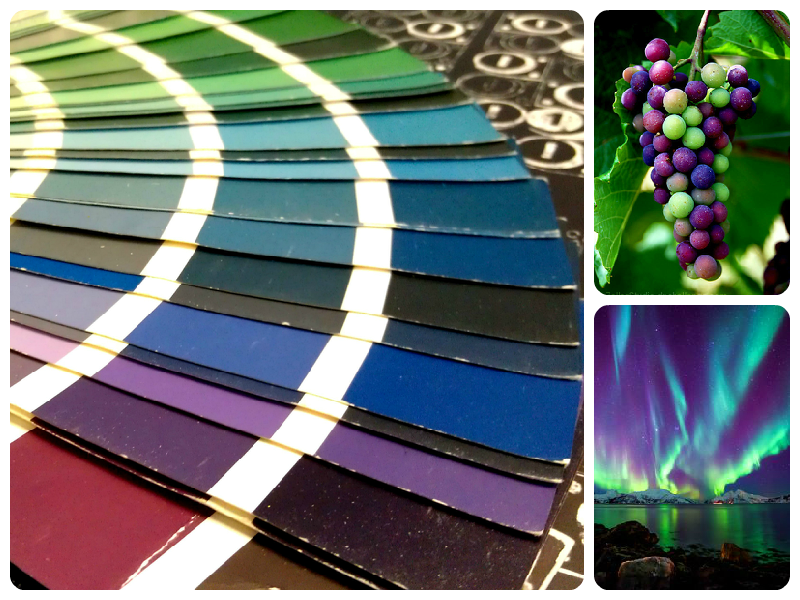 The stunning creation combines the paradoxical nature of the cosmos with familiar Christmas colours and elements. A few weeks ago, our designer and founder, Eliza Kesuma returned from a nice holiday in Indonesia, her home country. It made us think – why not introduce all our lovely readers to the world of interior design in beautiful Indonesia. 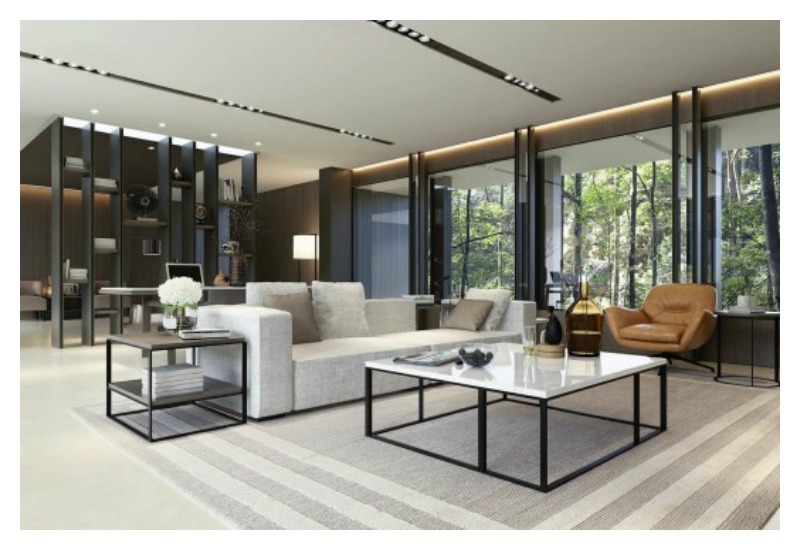 This week’s spotlight is on Fifi Fimandjaja, one of Indonesia’s leading interior designers catering to high-end residential and hospitality clients. We particularly like how her stylish mix of modern style with cultural elements provides non-ostentatious luxury and glamour. 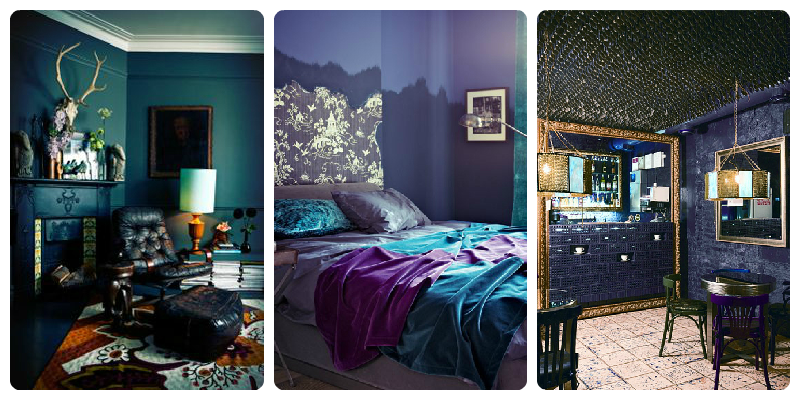 Her spaces have a knack for matching the right use of colours with interior styles. 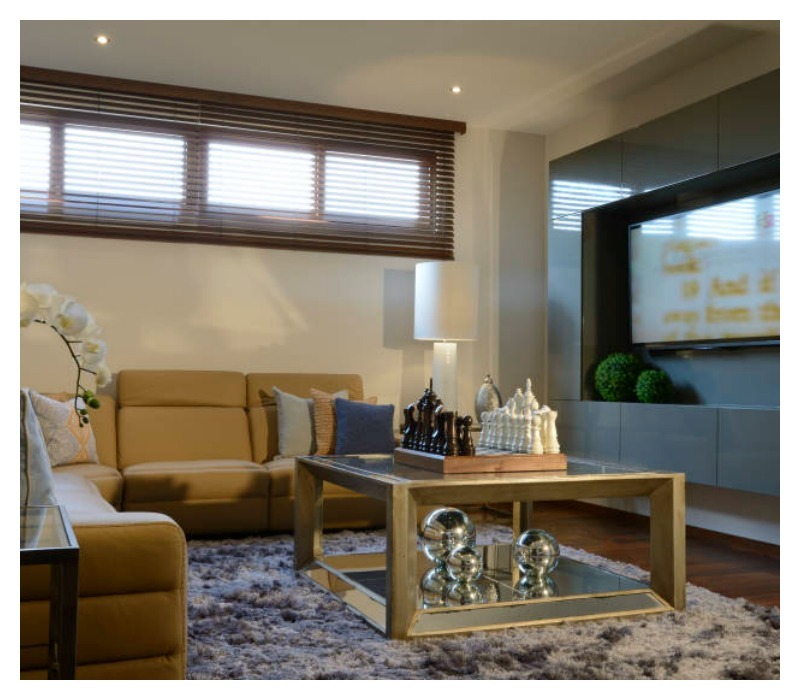 The living room is usually the hub of family activity and interaction in the home. Most of us are constantly looking for ways to make ours cosy and inviting. Today, we share with you some of our favourite cosy living room ideas. 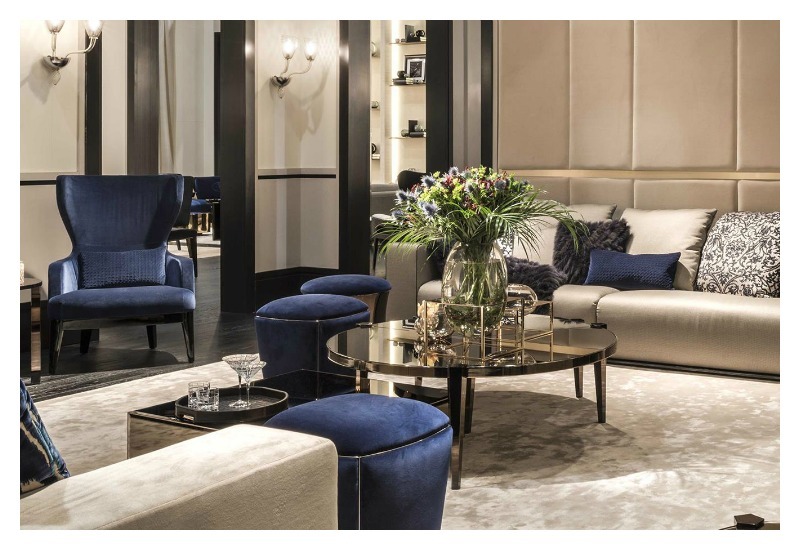 The luxurious velvet used on the armchair and ottomans naturally add a luxurious and cosy feel to this contemporary living room. 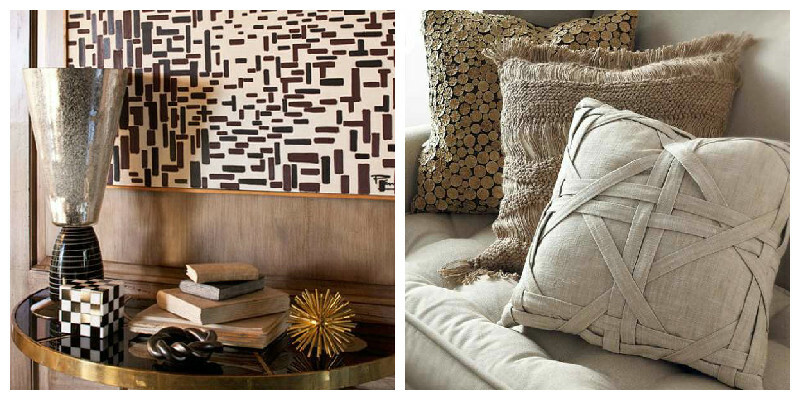 Soft greys and blacks create a polished and sophisticated look in this monochromatic scheme. The rug is a perfect anchor for creating a clearly defined living room space. Area rugs like this give a room that instant cosy update. They are perfect for sinking one’s feet in on those cold nights. 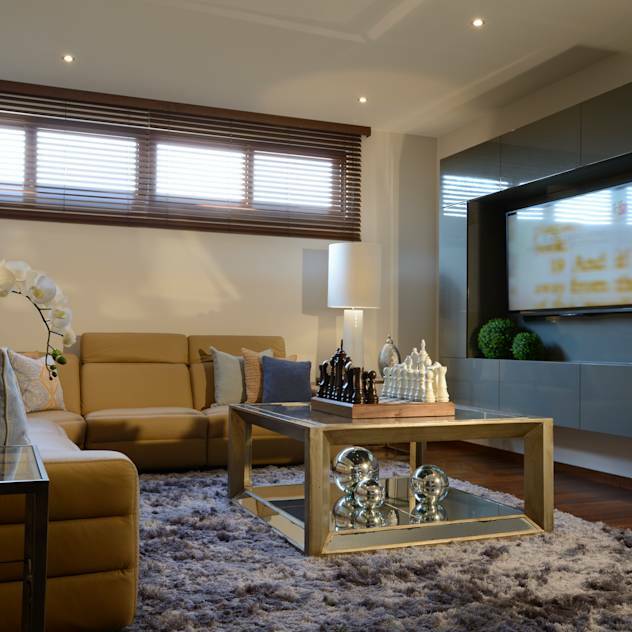 The grey fluffy look makes it stand out from the brown furniture adding texture to the room’s look. 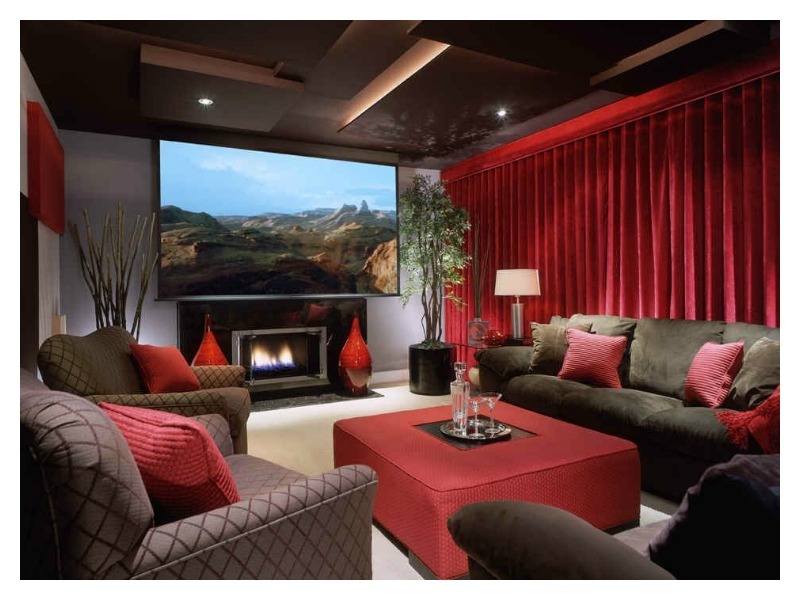 More a home theatre than a living room, we love the striking red colour scheme. Red and brown work harmoniously well. Nothing screams cosy as much as a lovely fireplace. This extra long fireplace makes a big statement in this living room. 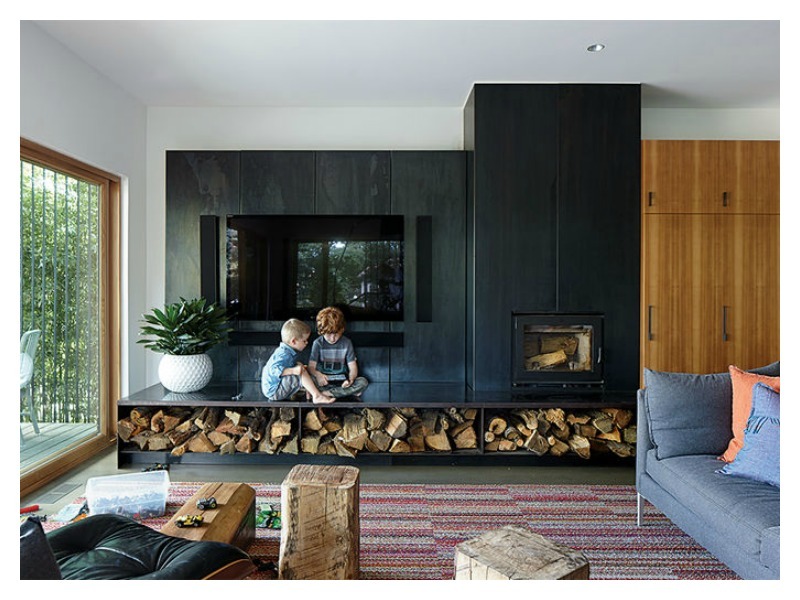 Teamed with dark hues and wooden logs as additional furniture, it is safe to say this will be a well-used family room. 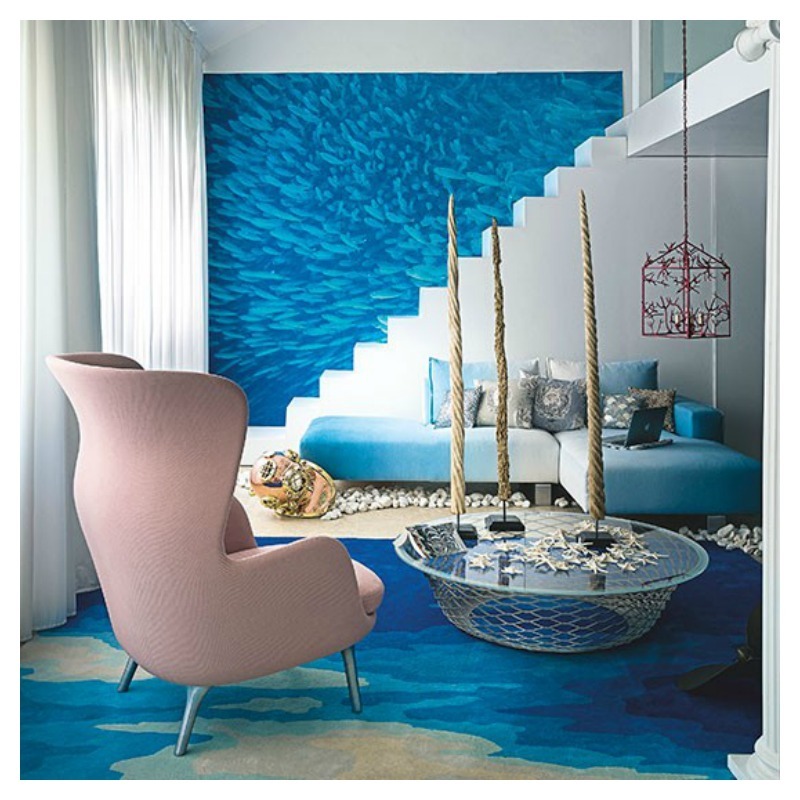 The vibrant blue colour scheme naturally creates a calm and serene atmosphere in this lounge. 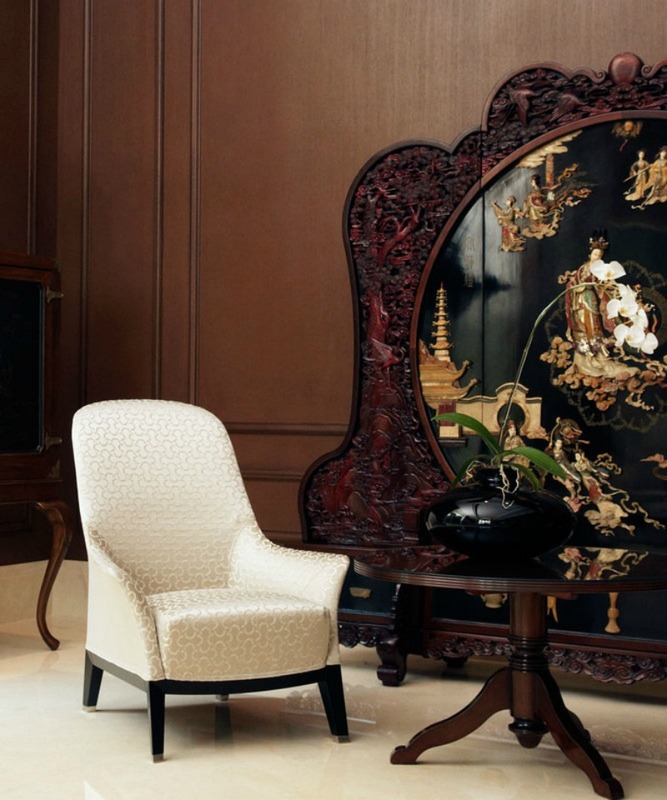 The contrasting armchair certainly adds a welcome unexpected touch of glam. 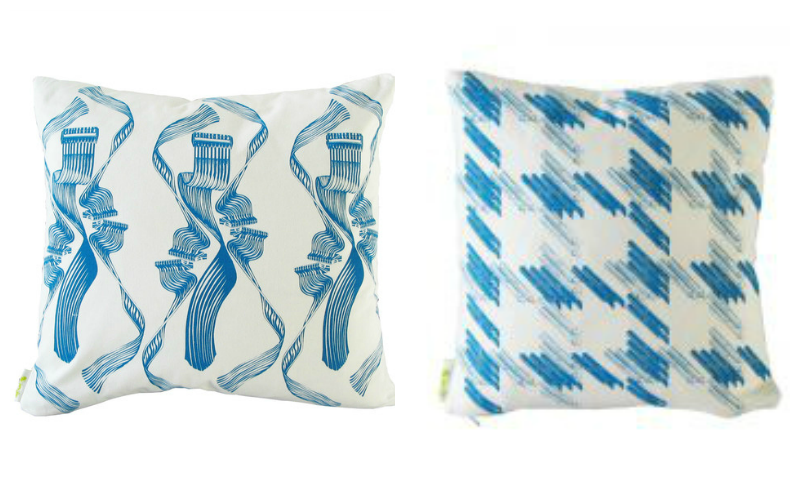 We think you can never have too many scatter cushions. This simple living room has an inviting sofa against a neutral and minimalist backdrop making it perfect for those long hours of family fun and conversation. 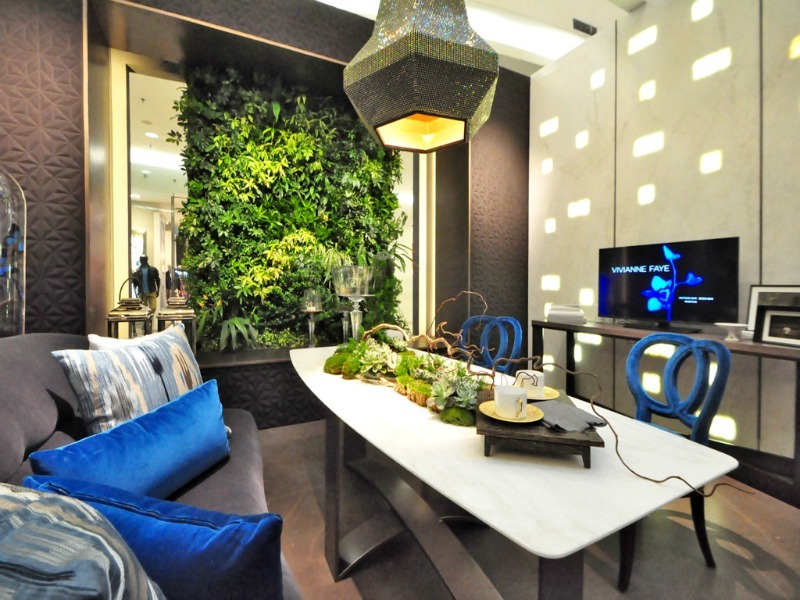 Changes in season provide a natural rhythm for refreshing interior décor. With summer still with us, it’s not too late to pick up a few new items to breathe some new life into your living space. 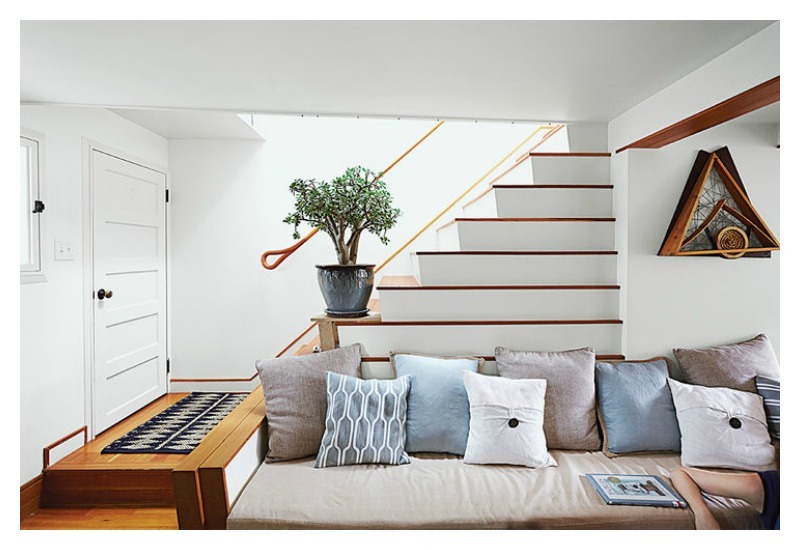 Whether you’re going for your usual must-haves or exploring new ways to step out of your decorating comfort zone, change can be very worthwhile. We found some great eye-catching items on In-Spaces, one of our stockists here at Moody Monday. Our relationship with them began after a chance meeting at 100% Design in London and it continues to be a good collaboration. We are proud to work with a brand that is dedicated to great design and progressive in nature. 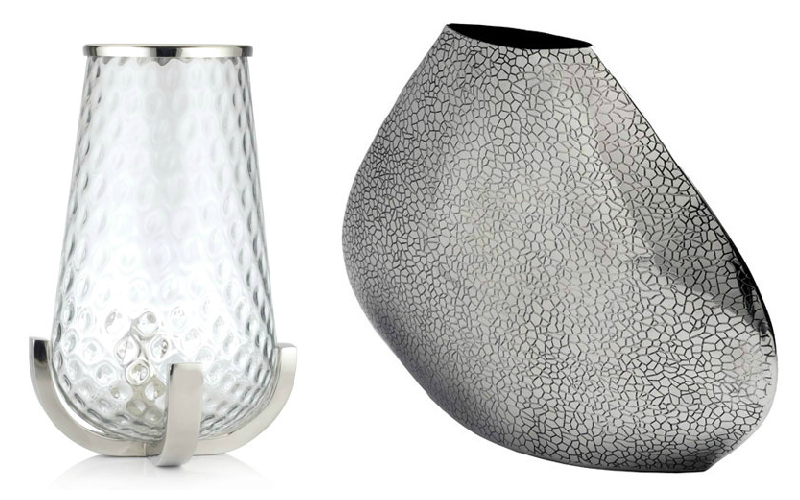 This love for good design is evident in the products we’re swooning over today. Vases: Starting off are these vases designed by the Edge Company. 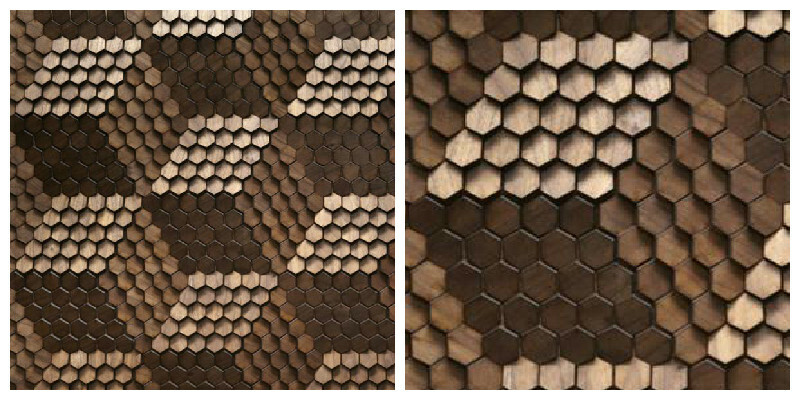 We love the interesting textures they both have. 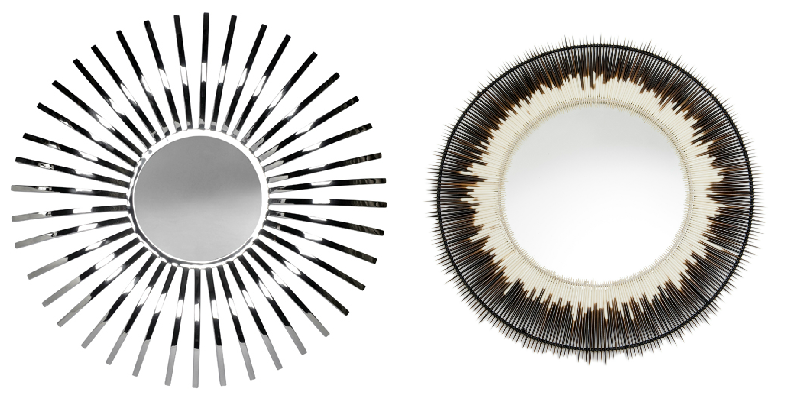 Definitely statement pieces for any home! Lighting: Given we were all over lighting last month, it was perfectly natural to add this hanging lamp to our favourites list. 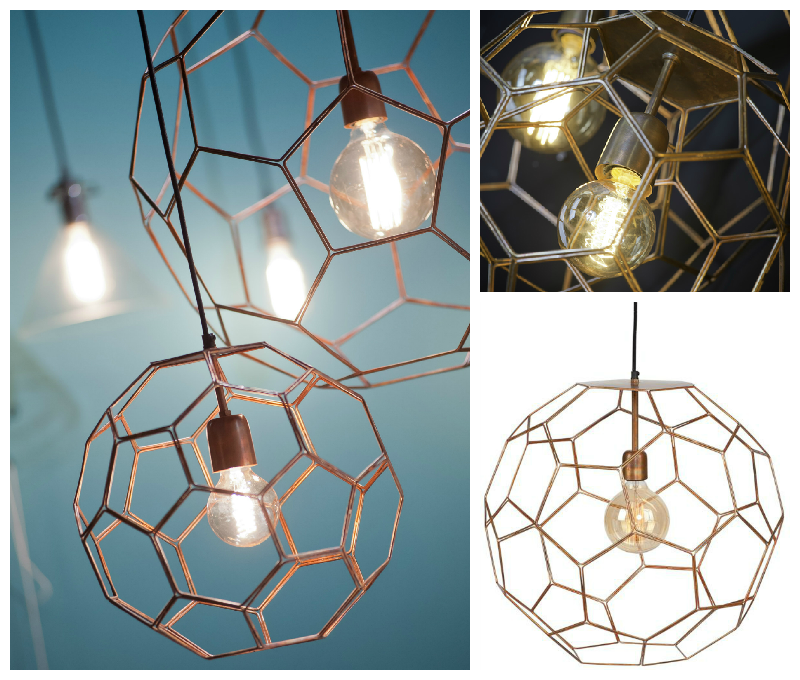 This will undoubtedly add that touch of sophistication and a unique look to the lighting scheme of any room. Mirrors: Adding vanity mirrors create dimension and interest, instantly lifting the look of an interior especially a hallway or living room. 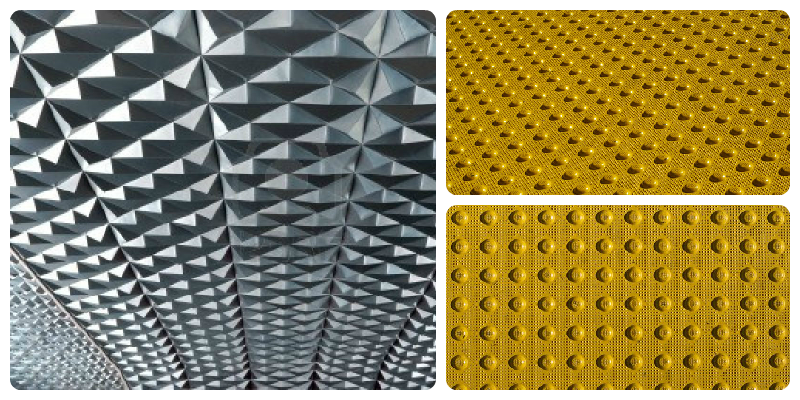 Cushions: Their extensive range of wall paper and soft furnishings are also worth a look. 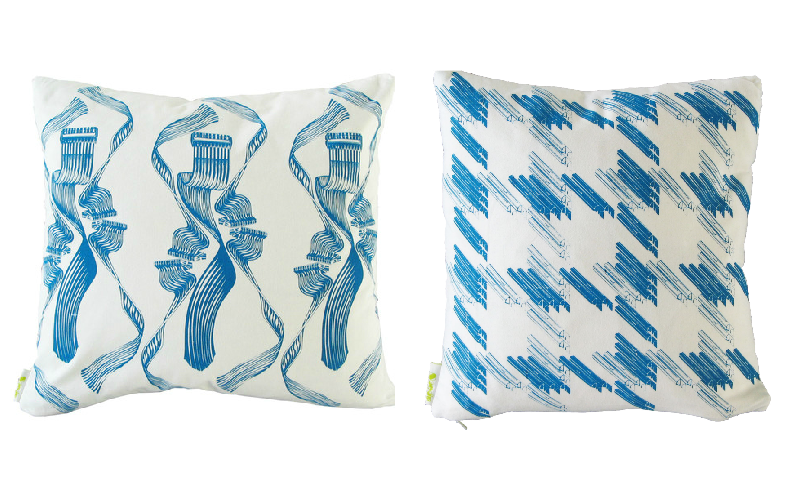 Be sure to add a fresh splash of colour to your sofa with gorgeous contemporary cushions from Moody Monday’s Secret Music collection. From home décor, fashion to art and prints, In-Spaces’ mission is to offer quality products from talented emerging and developing designers. They explain their ethos clearly: “We pride ourselves on a passion for design, a true eye for talent and a genuine joy for the work we do”. 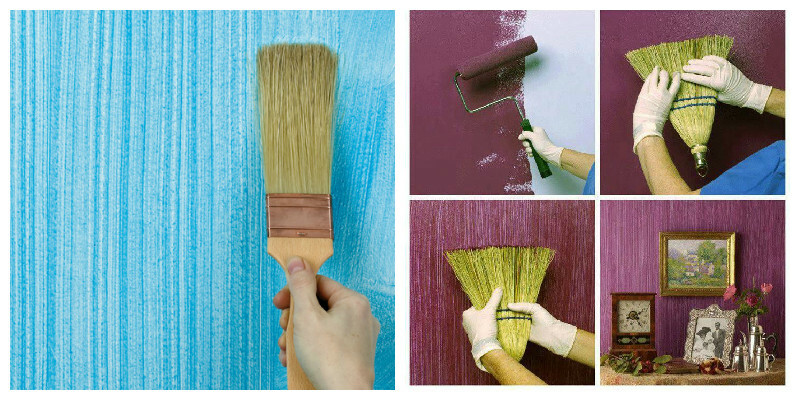 With a little creativity and time spent looking in the right place, this summer could bring with it much more than you expected – a better loved home. Visit www.in-spaces.com for more inspiration.